Times Square -- home to Guy Fieri, blaring iridescent signage, and Jimmy's Corner -- is about to get a new neighbor come the 4th of July. 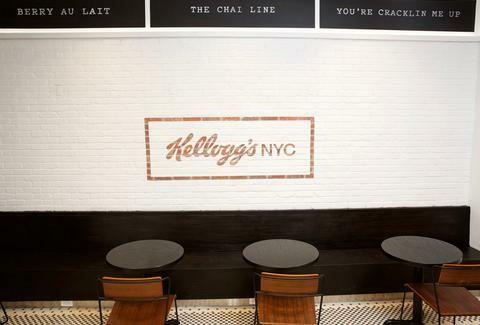 Kellogg's NYC, a new cereal cafe owned and operated by Kellogg Company as a new avenue to ram its delicious cereal into your mouth well into old age, will soon arrive 1600 Broadway in a flood of milk and sugar. This should surprise no one who lives in the same city where you can find other single-minded establishments with names things like the Meatball Shop, BarBacon, or Empire Mayonnaise. 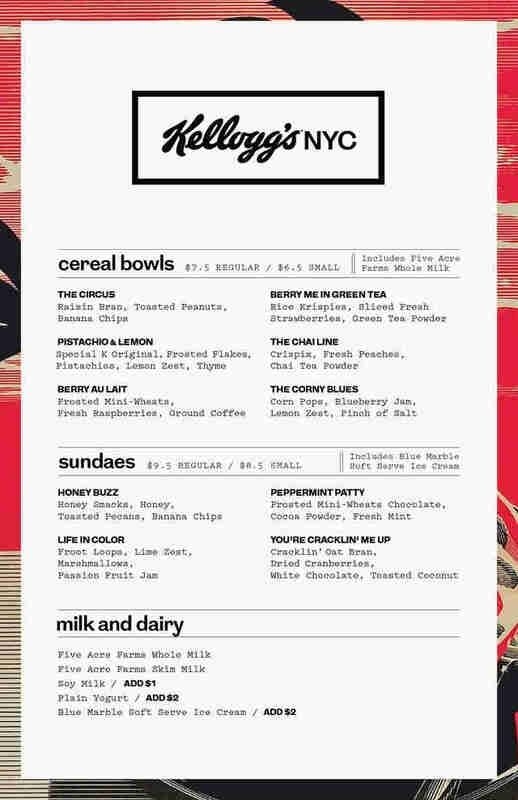 If you can devote an entire menu to grilled cheese, surely a cereal bar isn’t a dramatic leap of logic. It also promises to be tasty as hell and take lots of tourists’ money. Christina Tosi, the award-winning chef behind Milk Bar, and Anthony Rudolf, the former GM of Thomas Keller restaurant Per Se, are boldly leading the charge on the new spot, bringing with them Irving Farms coffee and Blue Marble ice cream to substitute for milk, should you choose to do so, according to initial reports. For $7.50, you'll be able to buy a heaping flavored bowl of Corn Flakes, customized to your heart’s content. Tosi's experience at Milk Bar, where she prepared baked goods incorporating everything from Fruity Pebbles to Frosted Mini Wheats, uniquely prepared her for the challenge. "We hope to elevate the experience from just cereal with milk," Rudolf told the Daily News. "Just because I can open a beer at home, doesn't mean I'm not going to the pub." God bless America, where you can eat cereal every day, and no one will judge you. Eric Vilas-Boas came from a family that let him eat sugar cereal all the time, and he doesn't regret one bite. Tell him how his heart rate’s doing on Twitter.